A young woman and her fiance are caught in a hurricane while sailing from Tahiti to San Diego, CA, leaving them adrift in the open ocean and fighting for survival. It is terrifying to think about getting stuck at sea and to have nothing but water every which way you look, not knowing if you will ever see land again. "Adrift" is directed by Baltasar Kormákur, who has also directed films like "The Deep," "Two Guns," and "Everest." It is written by Aaron and Jorden Kendall and David Branson Smith and is based on the true story of Tami Oldham and Richard Sharp. Tami (Shailene Woodley) has been a wanderer since leaving her home in San Diego shortly after finishing high school. She has been working her way from place to place, seeing the world on a nomadic adventure. 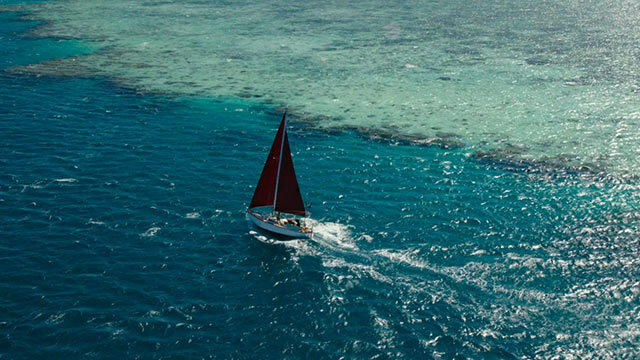 Her latest stop is Tahiti where she meets fellow world traveler Richard Sharp (Sam Claflin), who spends his time sailing from country to country often by himself for weeks on end in the open sea. The two strike up a relationship and quickly fall in love. Richard gets an offer from a couple of old friends to sail their yacht from Tahiti to San Diego. He accepts and asks Tami to come with him. Though she is not anxious to return to her home city, she agrees to take the trip because of their blossoming mutual love. En route, the two are caught in the middle of hurricane Raymond and are left shipwrecked in the middle of the open ocean. 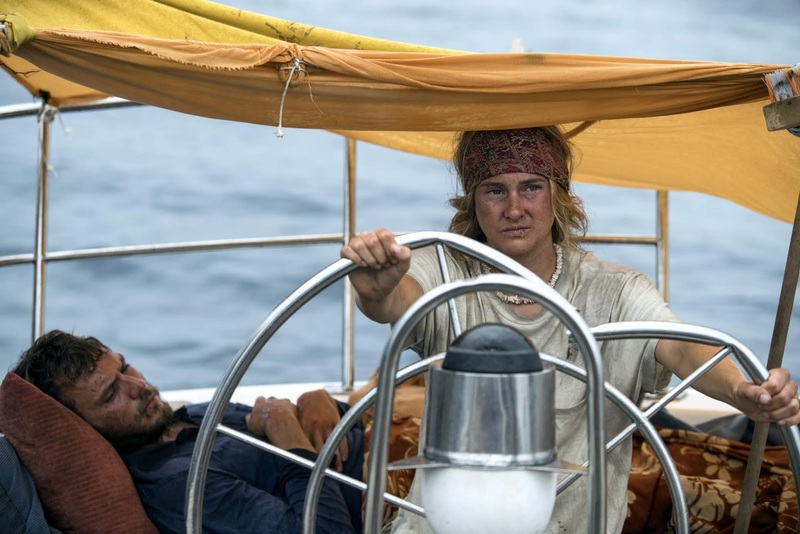 Being the only able-bodied person on the boat, Tami must find a way to navigate them back to civilization. Most survival films follow a pretty standard linear three-act narrative. These movies start out introducing characters and developing connections, and then comes the action-packed disaster scene before closing out with a resolution whether that be death or survival. We've seen this formula play out in films like "Cast Away" and "The Perfect Storm." However, Baltasar Kormákur chooses an alternative route for "Adrift" as he breaks up the typical narrative in favor of a much more bold one. 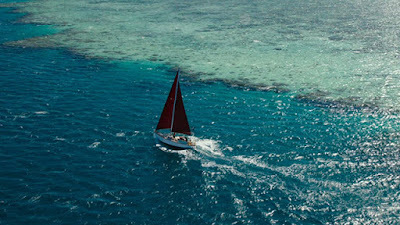 The first shot of the film shows Tami and Richard's wrecked boat. Immediately following this shot and for the rest of the movie, he jumps back and forth along their timeline, giving us glimpses of how Tami and Richard met, showing us who they are as people, and what brought them to Tahiti. This is all juxtaposed with Tami trying to figure out how to survive. This type of storytelling is much more daring though it is nothing new. For example, Danny Boyle used this style of storytelling in "127 Hours." Kormákur clearly did this in order to break up the monotony of people trying to survive in an isolated situation where there isn't much interaction, like in "All is Lost." For some, this style of storytelling will not work at all. For us, we thought it worked just fine as it gives us their backstory is small, easily digestible pieces, revealing information as it is necessary to the story. Sure, most of what goes on in flashbacks is a somewhat cliche, schmaltzy romance. Hell, Richard and Tami willingly admit that there are some cheesy lines in a very self-aware fashion. That being said, the connection between Richard and Tami is so important to the overall story that we feel it is more effective this way because that connection continues to build throughout the whole story instead of it all being crammed into the first 30 minutes or so. 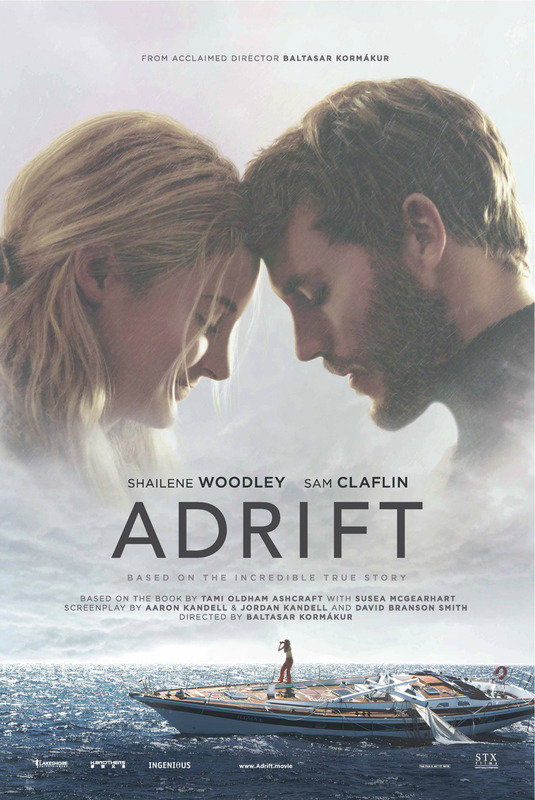 We very much enjoyed "Adrift." Shailene Woodley and Sam Claflin offer up very good performances and have some great on-screen chemistry that makes their relationship believable and allows the audience to root for them to persevere in the face of insurmountable odds. The cinematography is wonderful in both the open ocean shots and during the more personal times as well. There is a lot of stellar camera work that takes us both above and below the surface of the water, and sometimes even halfway in between. Though this film is not anything particularly new in terms of its story, it is still a solid survival tale that is absolutely worth watching.